You’ve seen them onscreen. You’ve heard them on the radio. 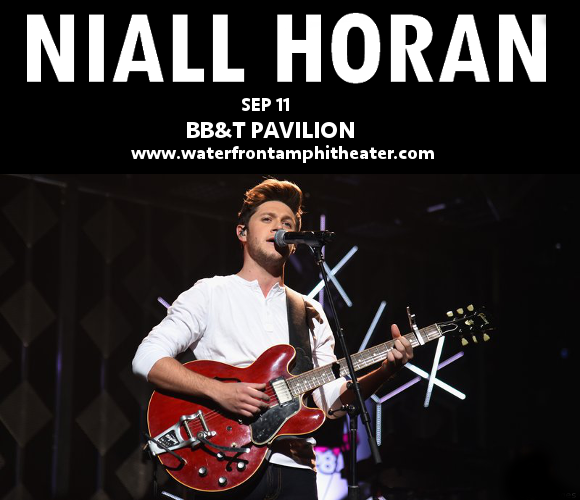 Now it’s time to catch them LIVE – pop star Niall Horan and country legend Maren Morris are joining forces for an incredible live tour, coming to the BB&T Pavilion on Tuesday 11th September 2018!! Get ready for the ultimate live experience – book your tickets NOW as they aren’t going to last long and prepare for a show you’ll never forget! Niall Horan first rose to stardom on the British television contest The X Factor, where he was put together with four other solo contestants to form the boy band One Direction, who rose to global prominence, now a household name across the world! Following Harry Styles’ recent solo release, One Direction fans have plenty to look forward to with Niall Horan’s new album and upcoming tour. With plenty success under his belt, Niall Horan is branching out, going back to a rootsy rock sound with his brand new album, “Flicker” with a sound to delight One Direction aficionados and gain plenty new fans alike! Following a recent duet with the chart-topping Maren Morris, the two look set to rock the world together in style! Be there and catch it all for yourself!